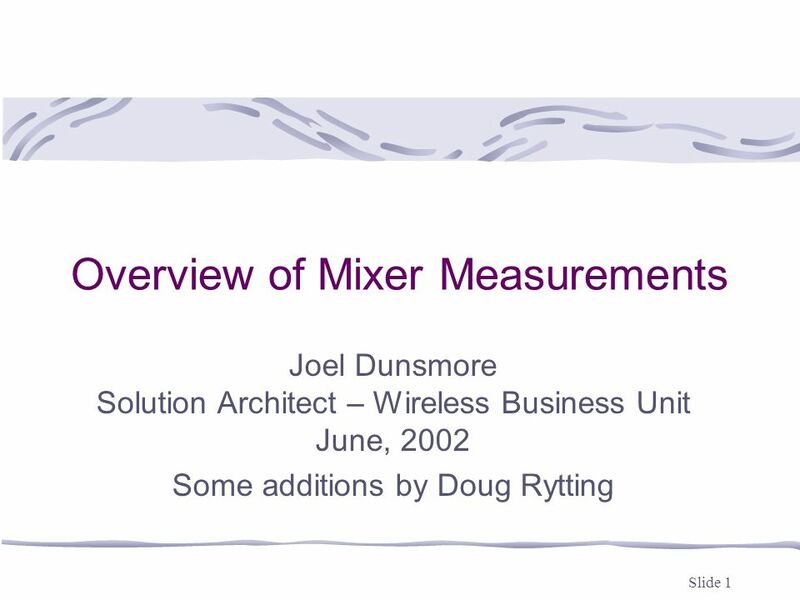 Slide 1 Overview of Mixer Measurements Joel Dunsmore Solution Architect – Wireless Business Unit June, 2002 Some additions by Doug Rytting. 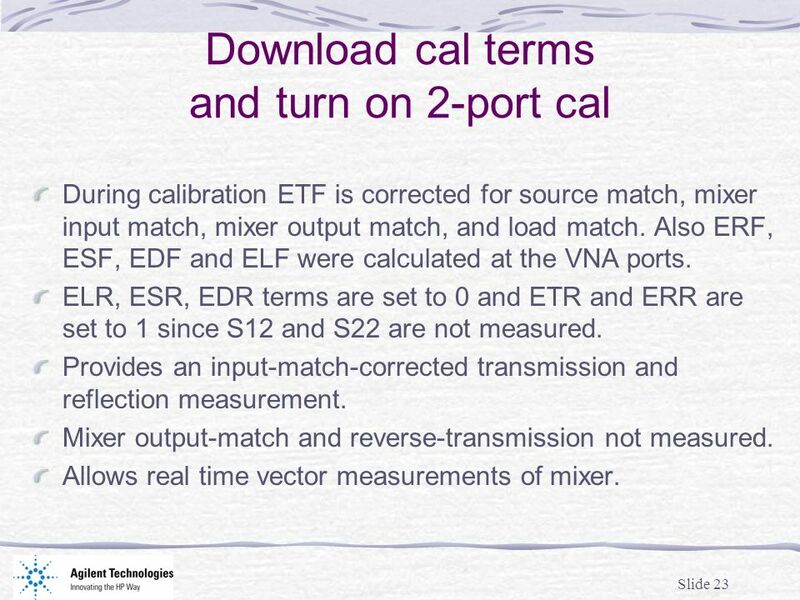 23 Slide 23 Download cal terms and turn on 2-port cal During calibration ETF is corrected for source match, mixer input match, mixer output match, and load match. 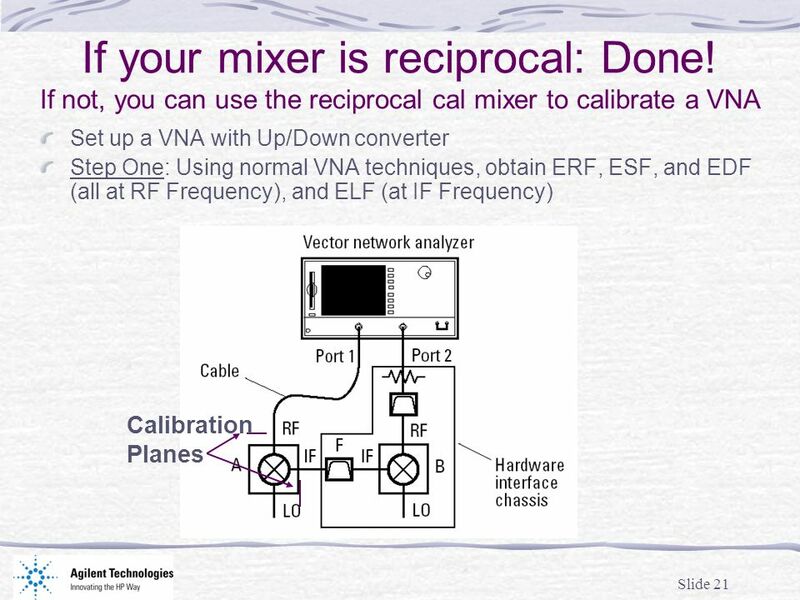 Also ERF, ESF, EDF and ELF were calculated at the VNA ports. 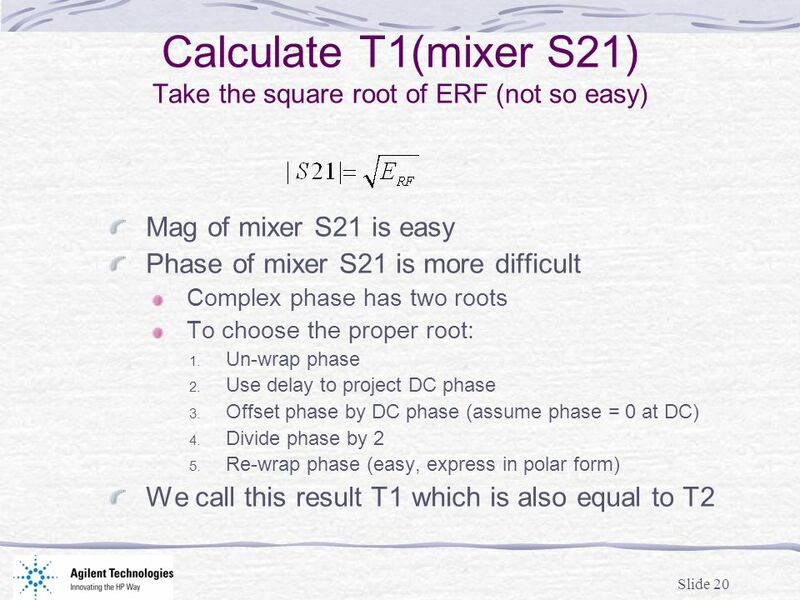 ELR, ESR, EDR terms are set to 0 and ETR and ERR are set to 1 since S12 and S22 are not measured. 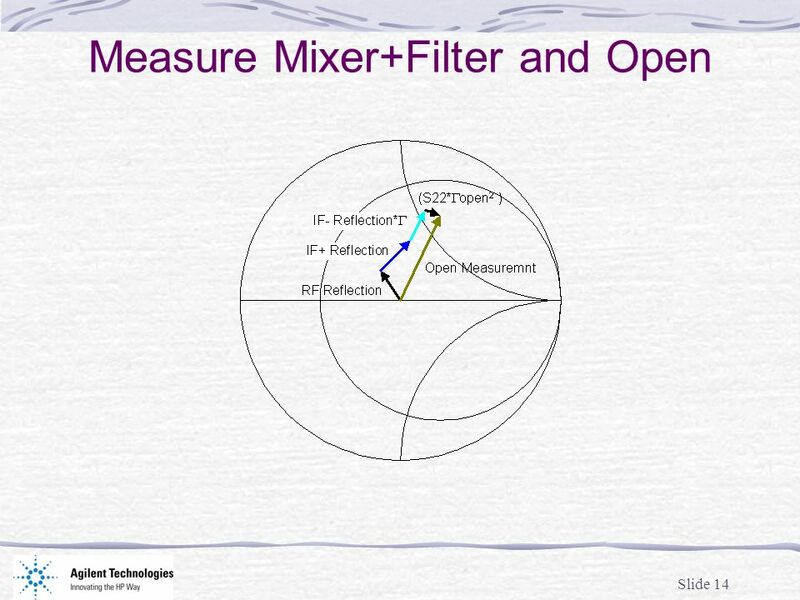 Provides an input-match-corrected transmission and reflection measurement. 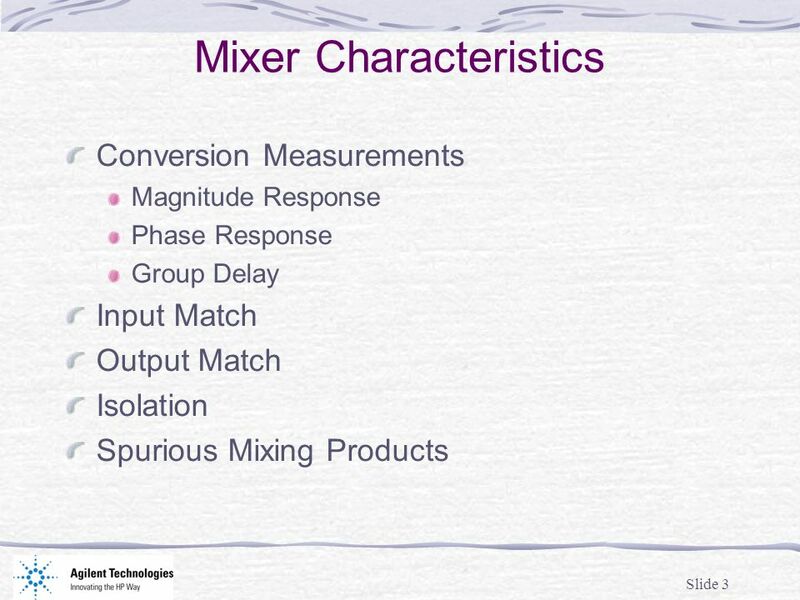 Mixer output-match and reverse-transmission not measured. 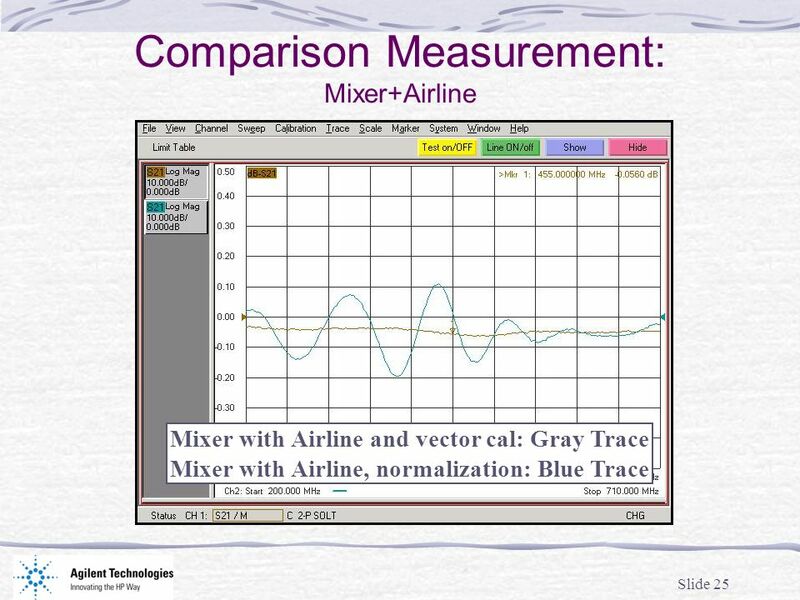 Allows real time vector measurements of mixer. 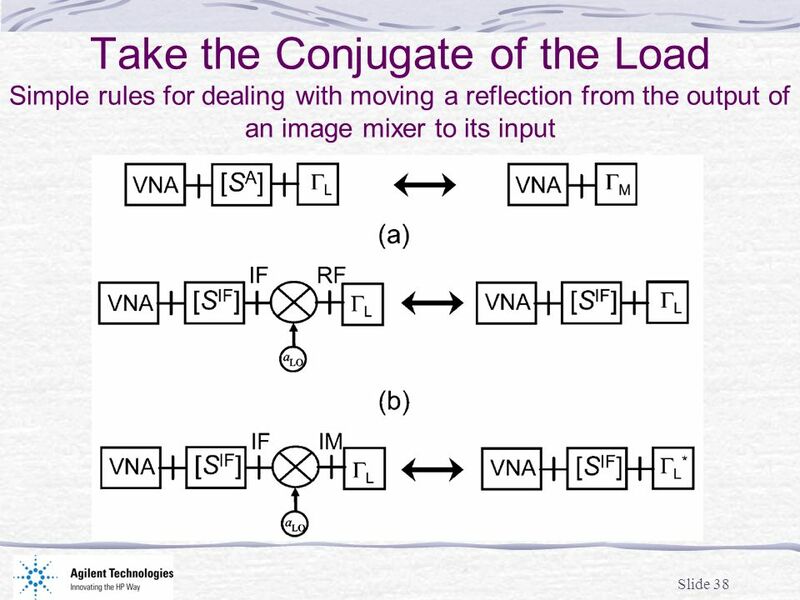 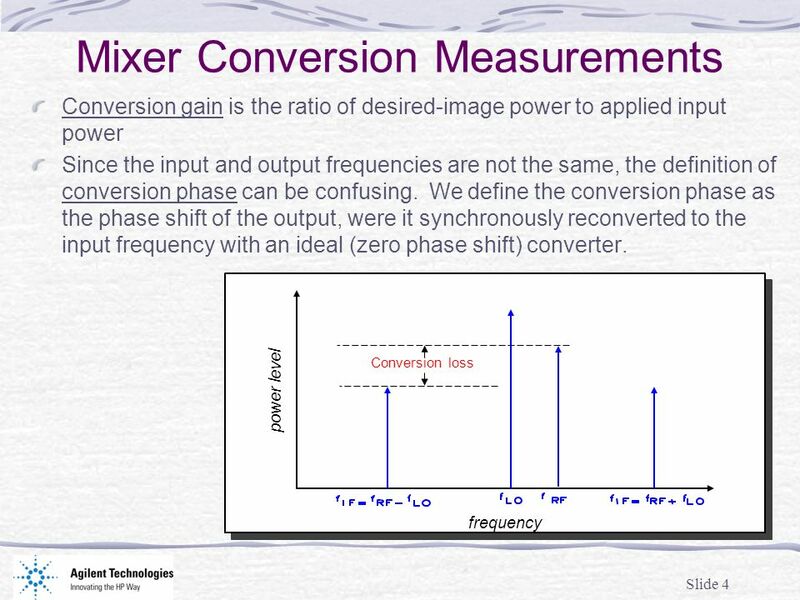 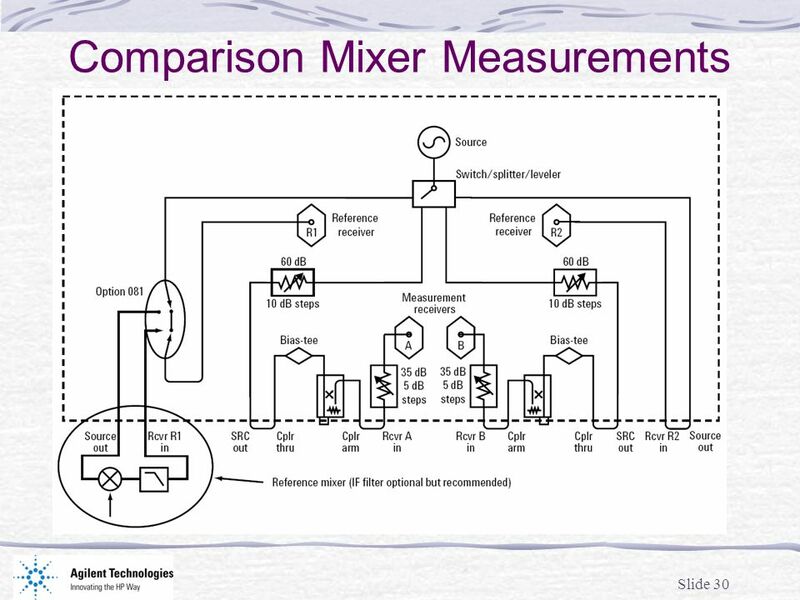 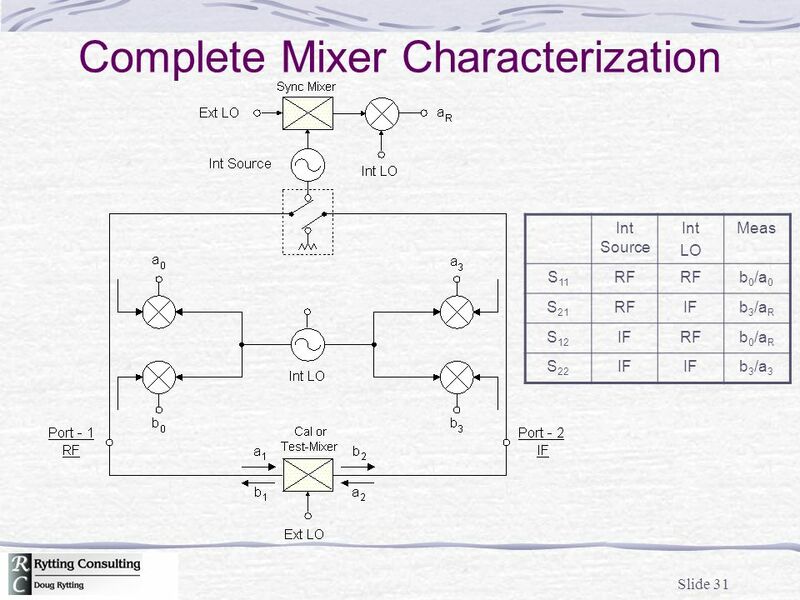 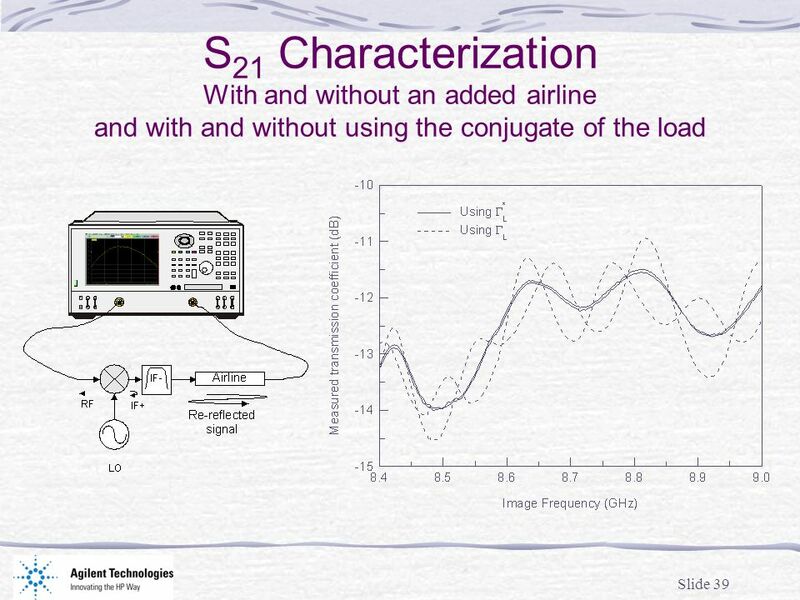 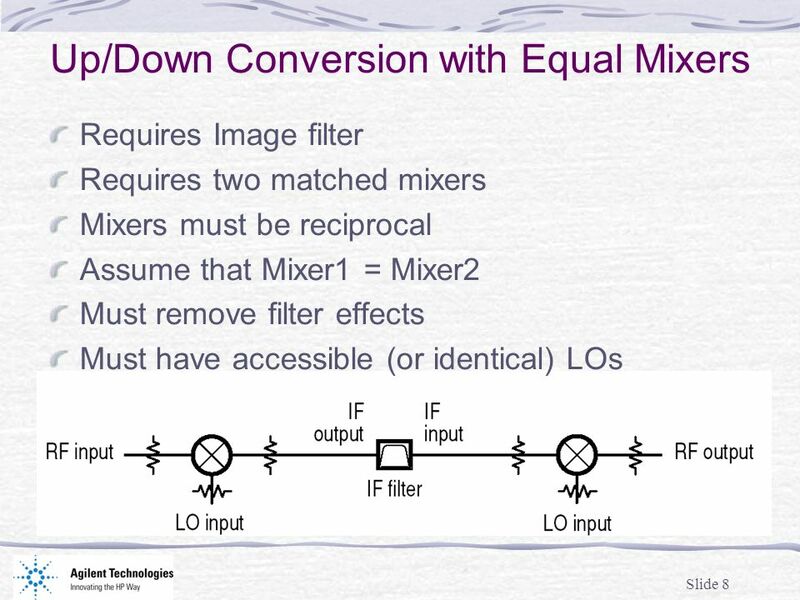 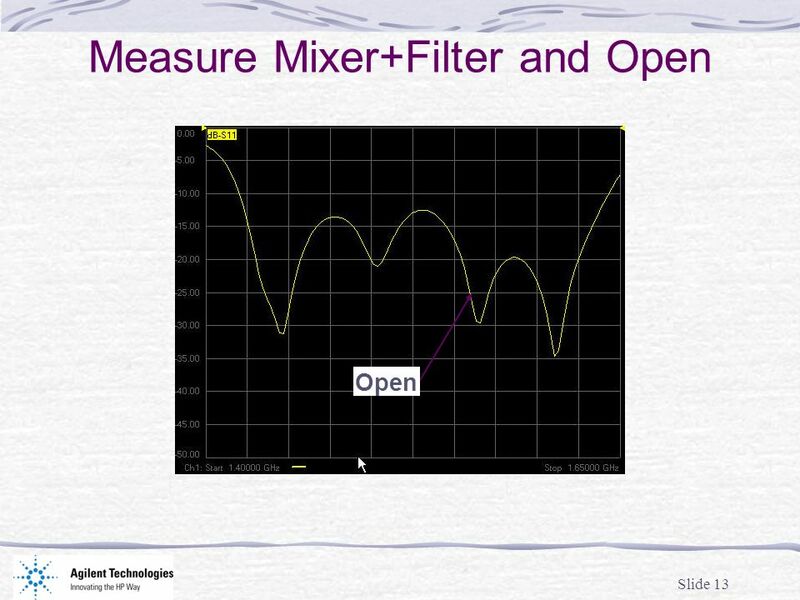 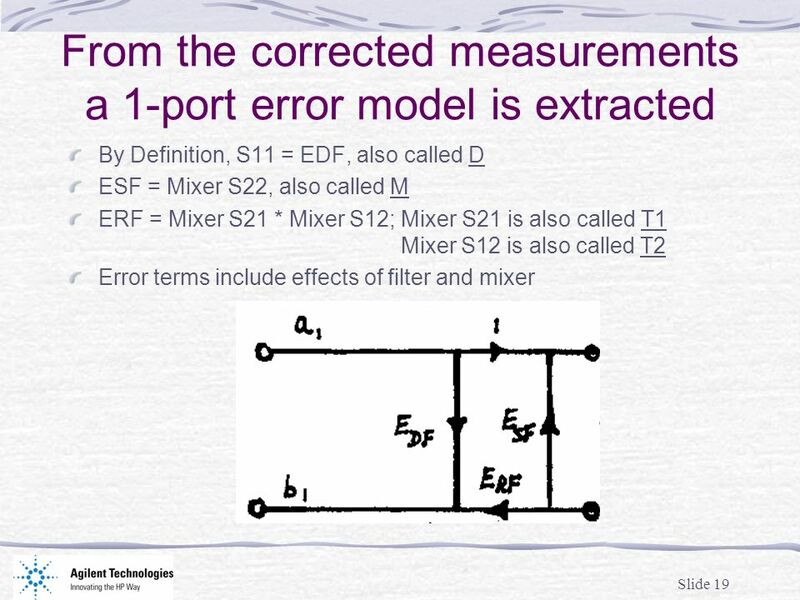 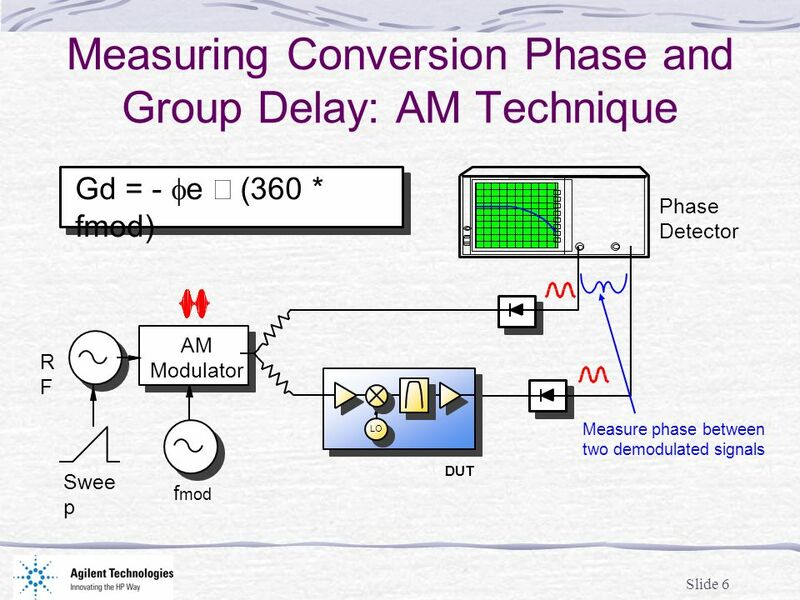 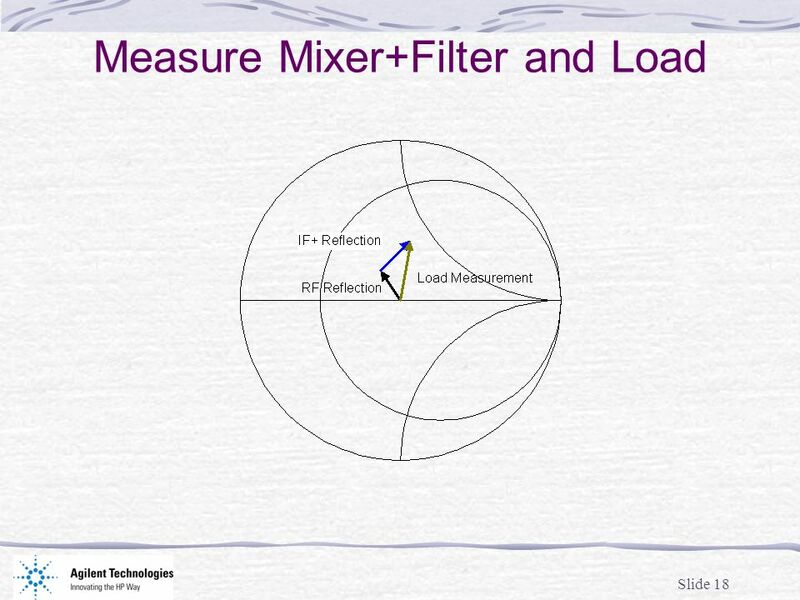 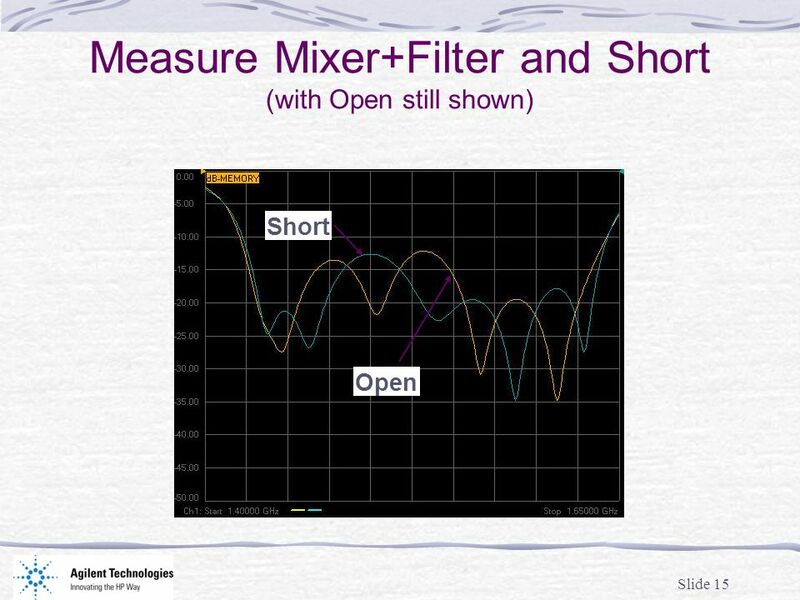 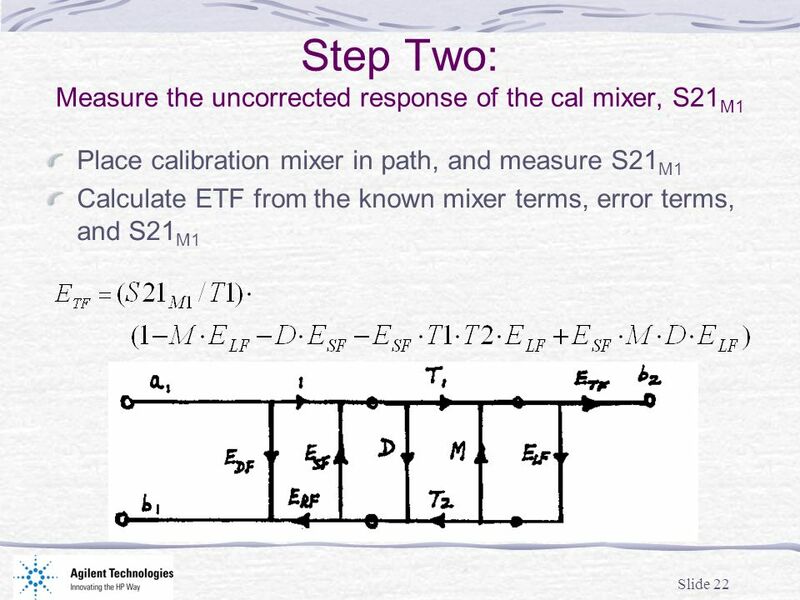 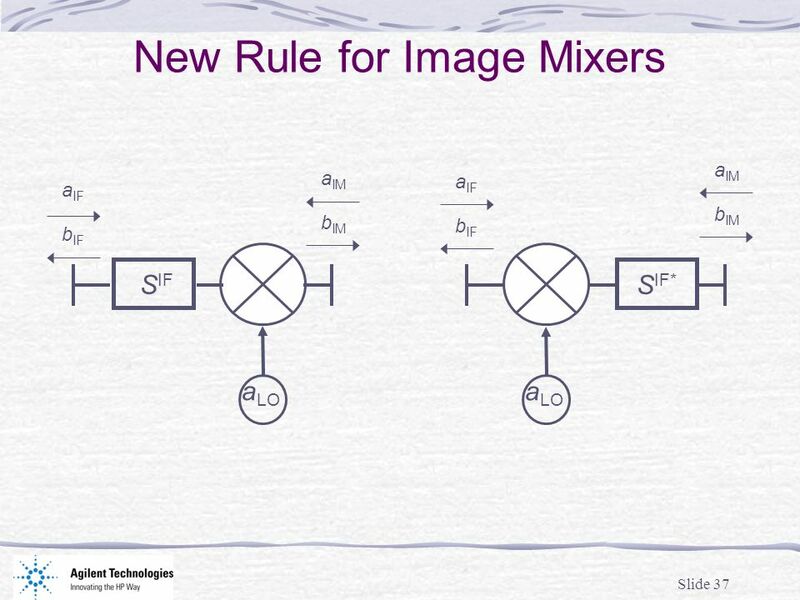 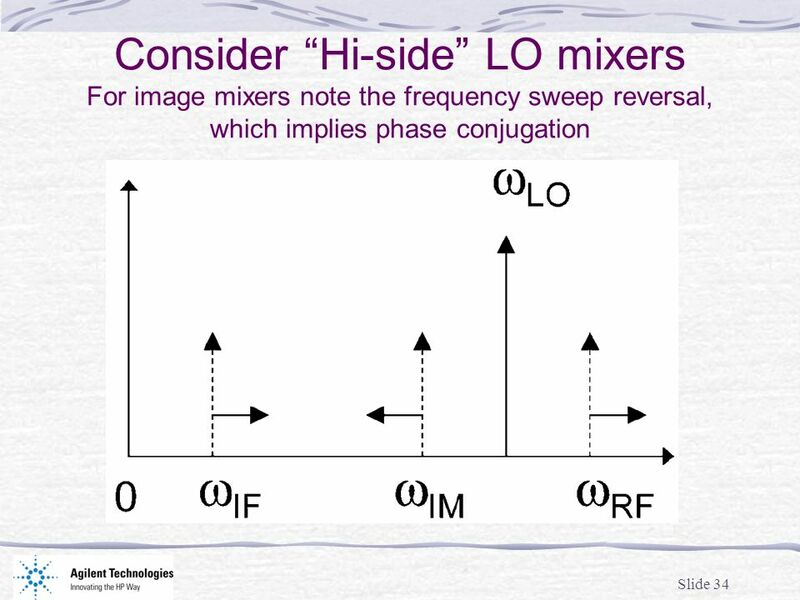 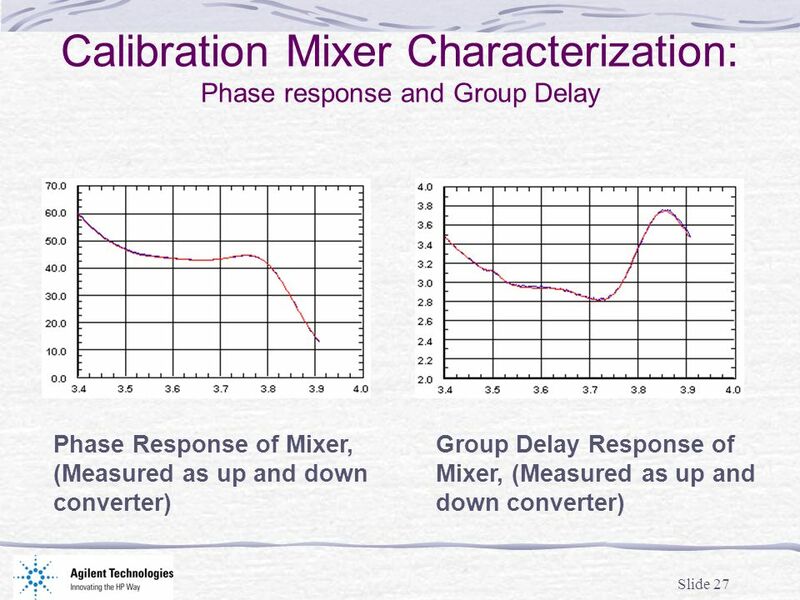 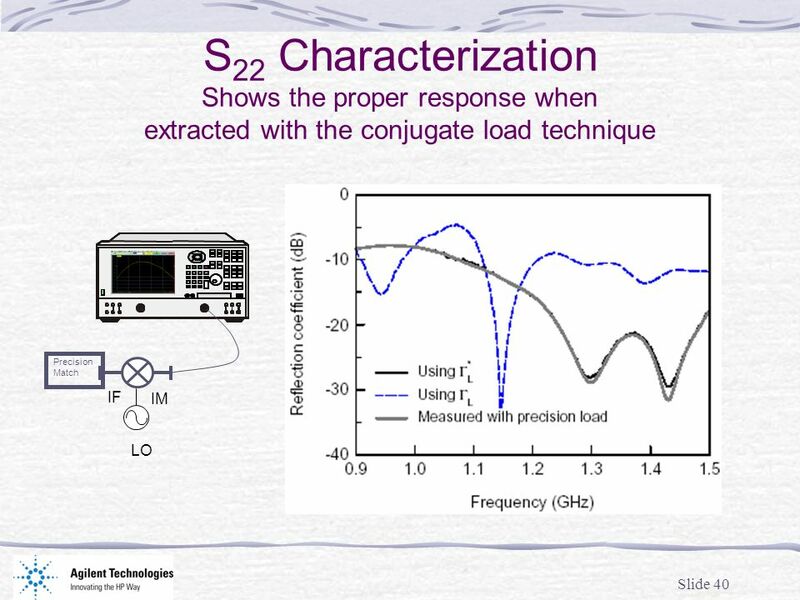 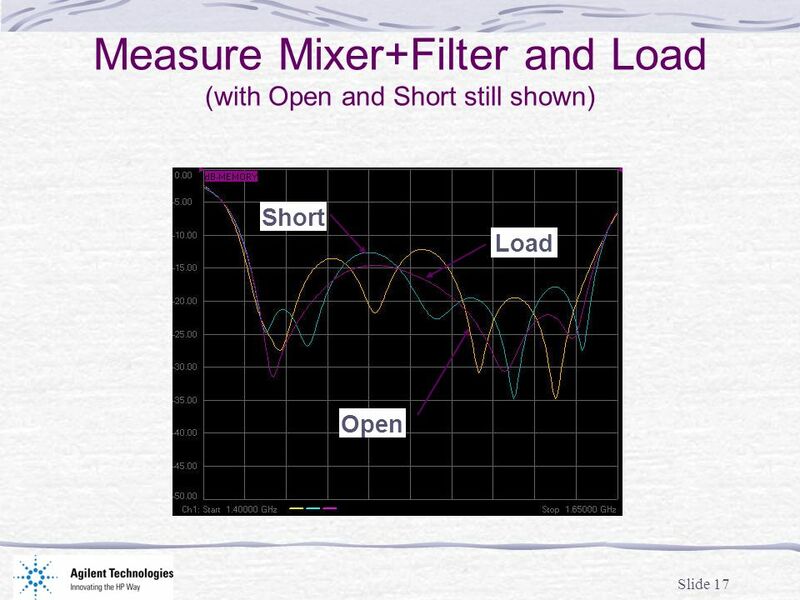 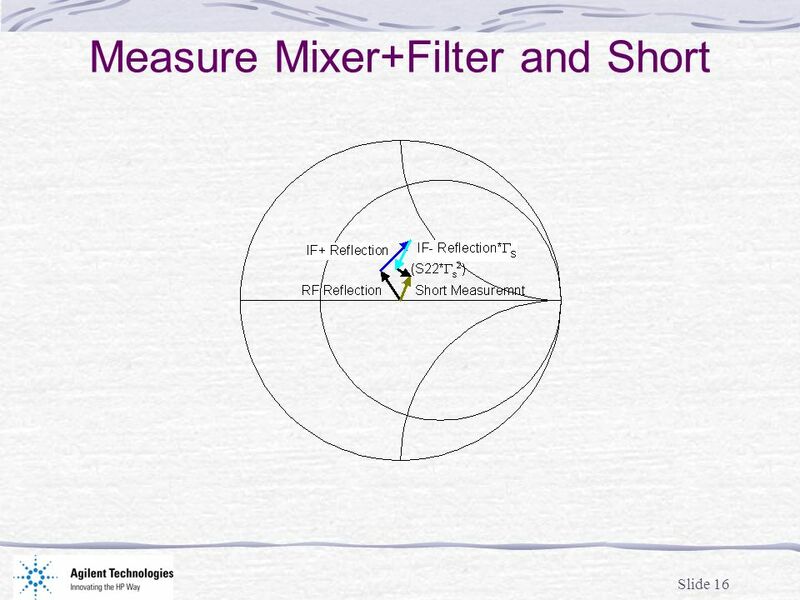 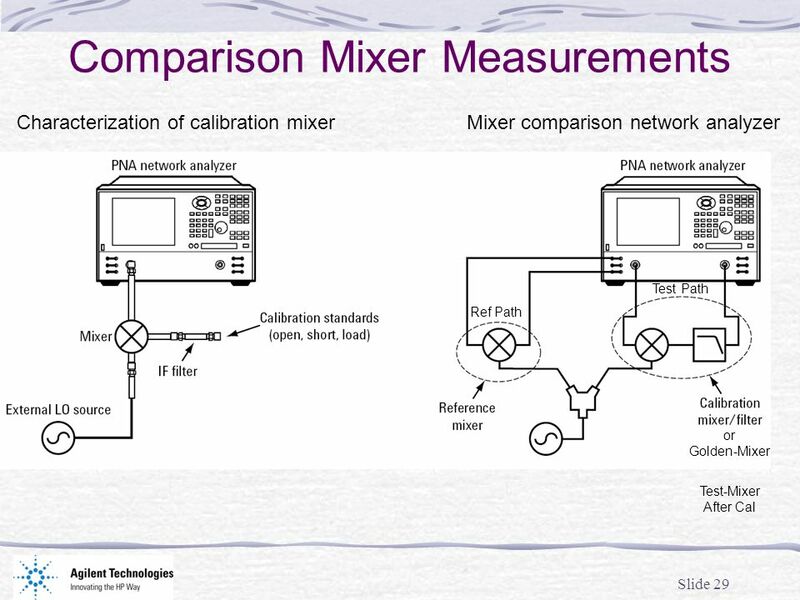 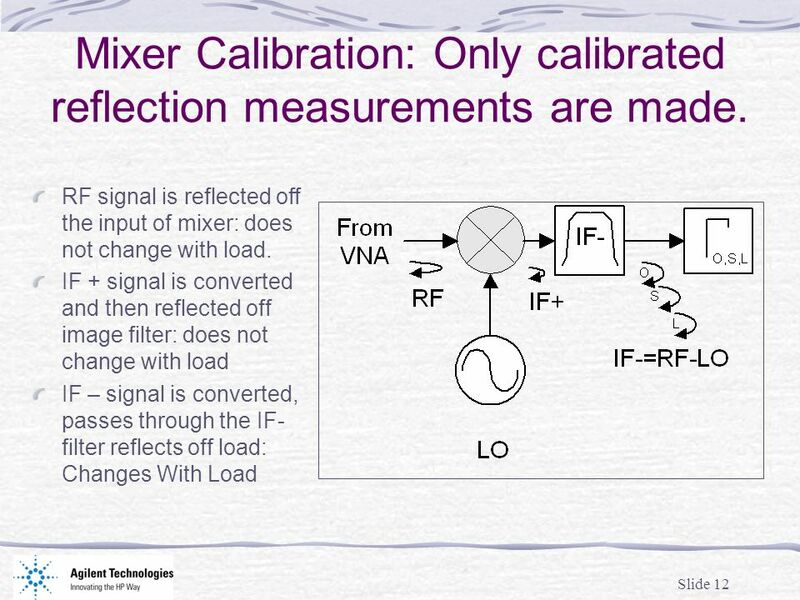 32 Slide 32 Summary Common mixer measurement techniques lack the ability to accurately measure phase or delay of mixers. 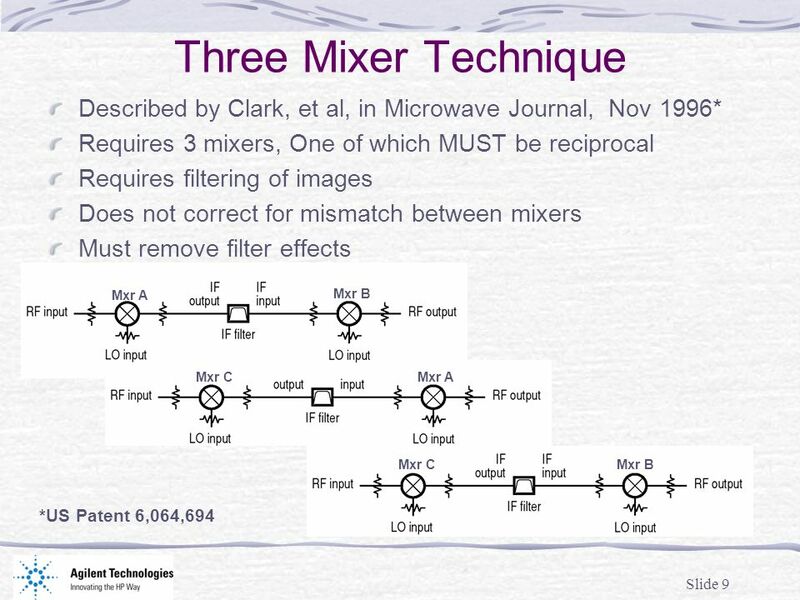 A new technique, based on reflection measurements, resolves this problem, and provides accurate and repeatable measurements of reciprocal mixers for both magnitude and phase response. 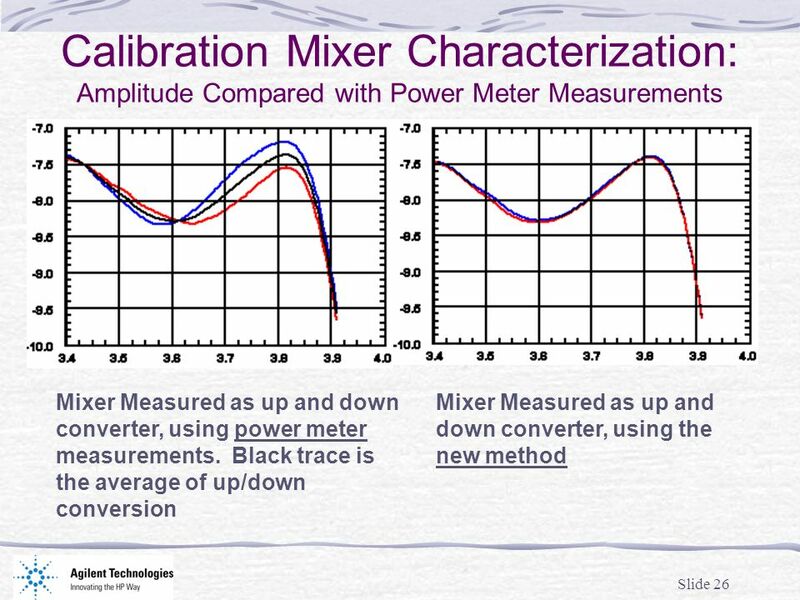 Mixers characterized in this way can be used to calibrate test systems, such that non-reciprocal mixers can be measured for phase and absolute delay. 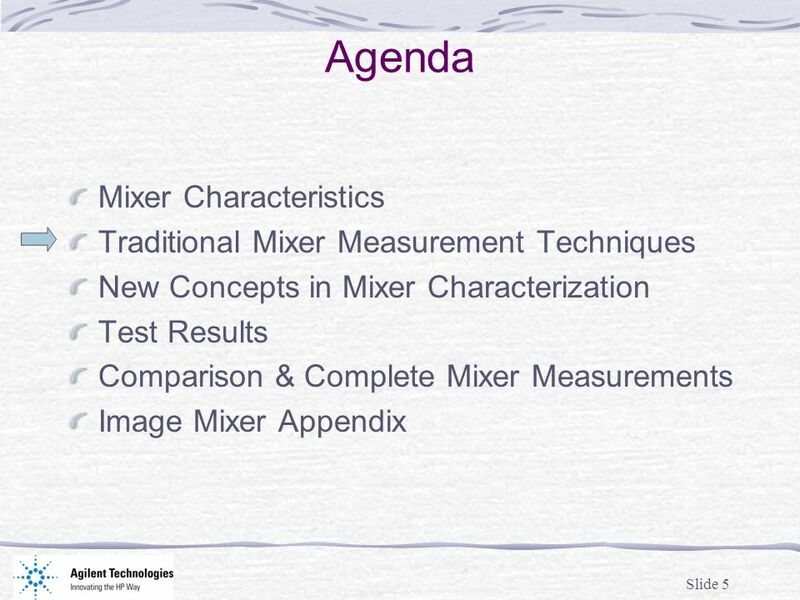 Comparison mixer characterization was described. 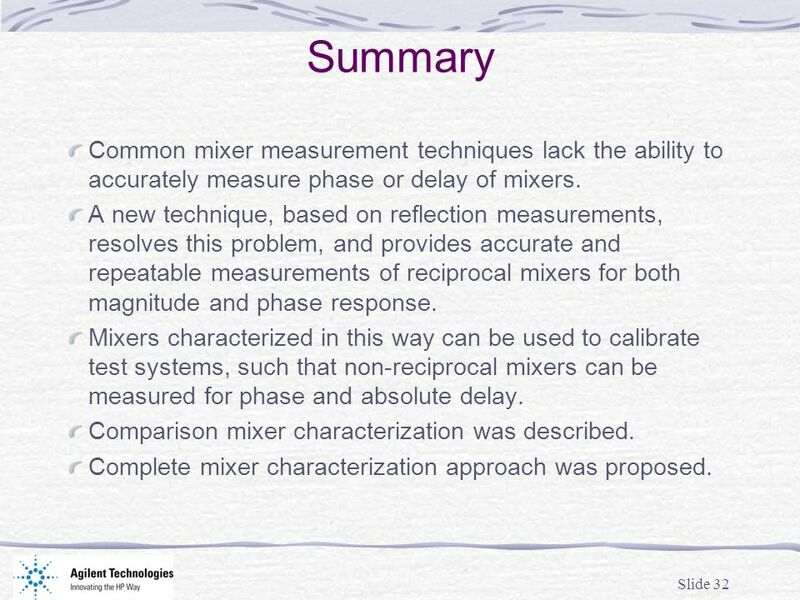 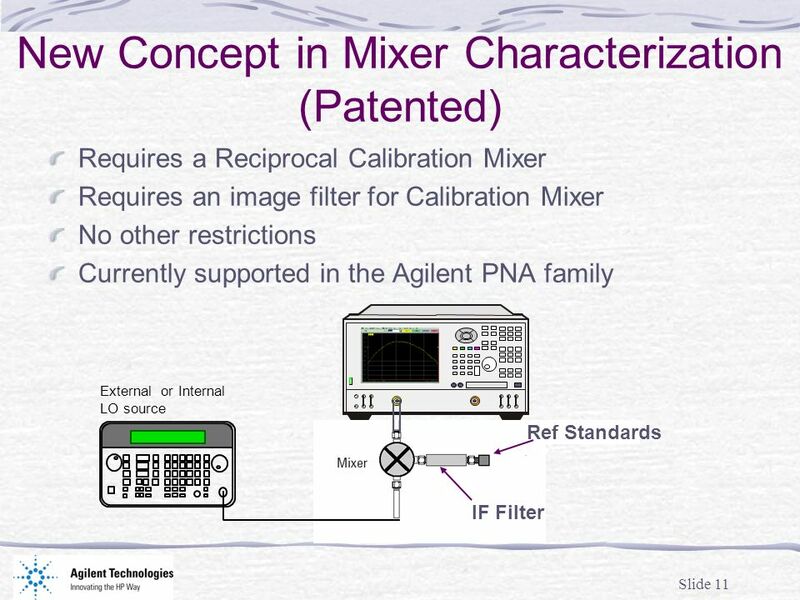 Complete mixer characterization approach was proposed. 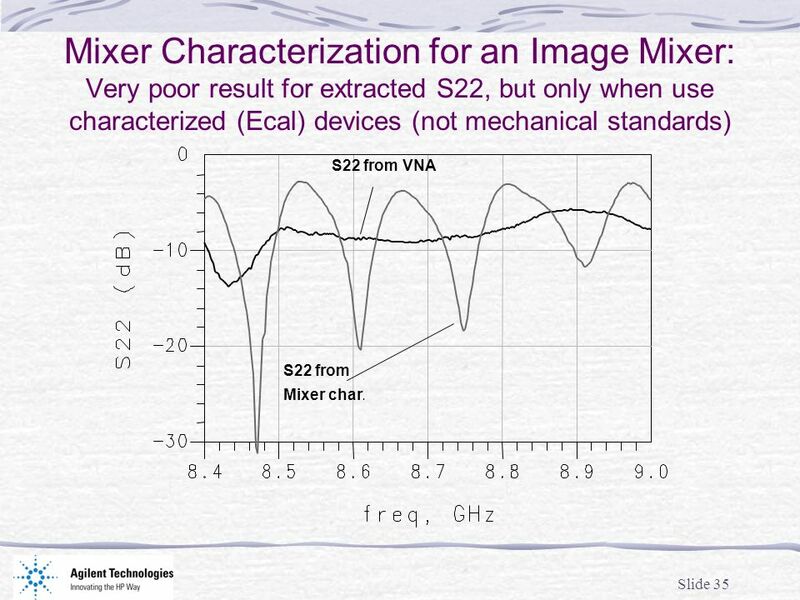 35 Slide 35 Mixer Characterization for an Image Mixer: Very poor result for extracted S22, but only when use characterized (Ecal) devices (not mechanical standards) S22 from VNA S22 from Mixer char. 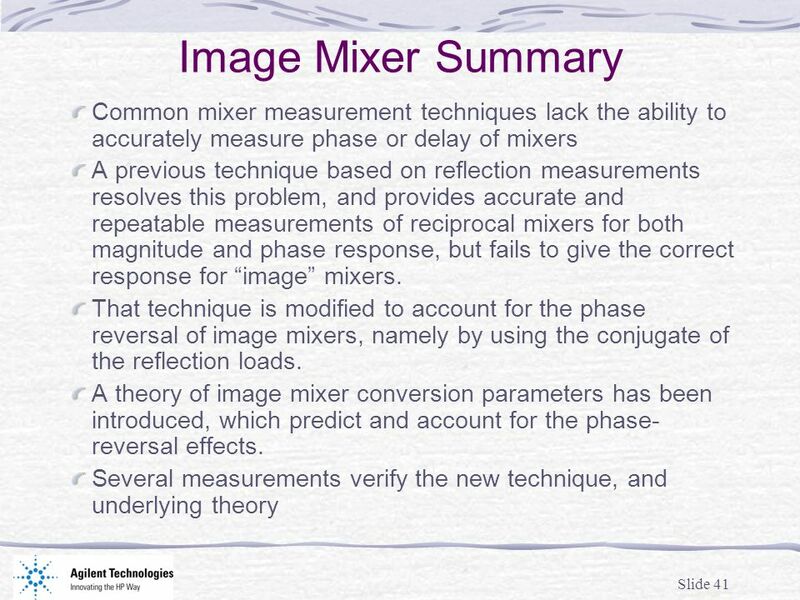 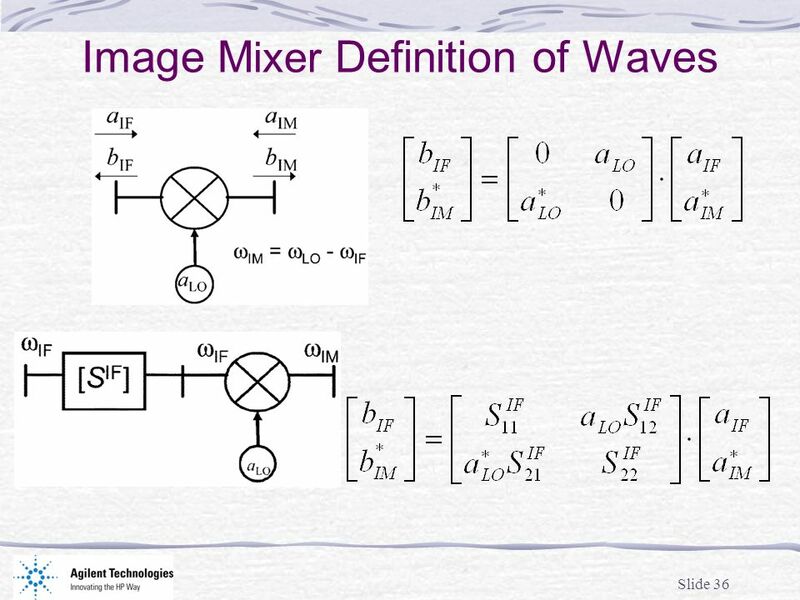 Download ppt "Slide 1 Overview of Mixer Measurements Joel Dunsmore Solution Architect – Wireless Business Unit June, 2002 Some additions by Doug Rytting."